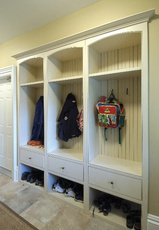 Closet / Storage Shelving Services - design, manufacture & install cabinetry & millwork - Kitchener, Waterloo, Cambridge, Guelph - Homestead Woodworks. 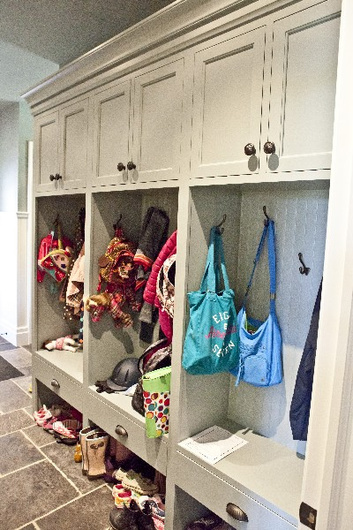 The word “closet” gives an image of a dimly lit, stuffy, unorganized area with clothes that are sure to be wrinkled after they get pulled out of their crammed space. 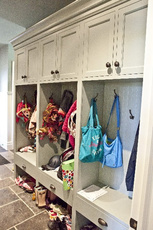 Homestead has redefined the image by assisting many in transforming their closets into a bright, cheery room with “a place for everything and everything in its place”. A well laid out closet becomes a dressing room with all the essentials to keep up with a fast-pace lifestyle. Even small spaces can be improved with professional space planning. Organzied, neat and streamlined storage shelving will allow you to enjoy life better.